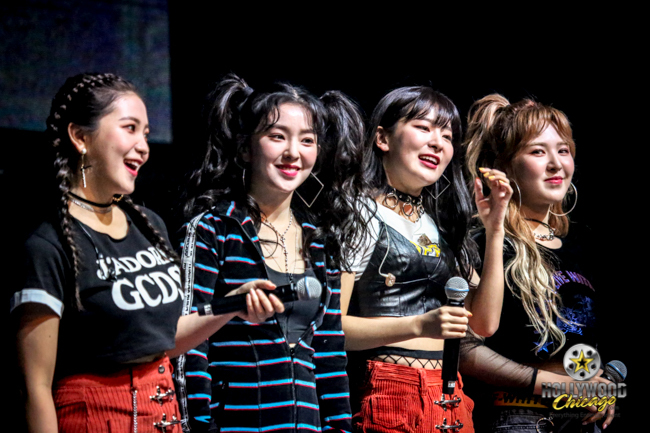 ROSEMONT, Ill. – It was K-pop (South Korean pop music) magic time at Rosemont Theatre on April 29, 2018 as the girl group Red Velvet had a “fanmeet” with their admirers. Red Velvet (레드벨벳) debuted on Aug. 1, 2014 with their digital single “Happiness” and was formed by S.M. Entertainment by pairing four members: Irene, Seulgi, Wendy and Joy. In 2015, they added a fifth member, Yeri.